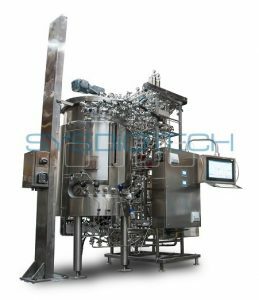 PneumaticScaleAngelus unique Viafuge V12 Cell Separation System offers a major breakthrough in gentle cell separations, with no damage at medium to large-scale production levels. The continuous Viafuge V12 allows аfor rapid cell harvesting and supernatant clarifications with unsurpassed viability, 99% recovery of intact cells, and up to 90% reduction in filtration needs. With flow rates up to 40 l/min and variable speed drive, the Viafuge V12 versatile performance characteristics enable the optimization of specific applications. 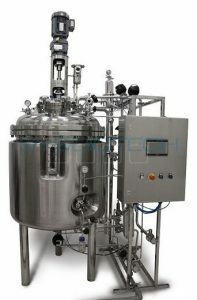 Closed system operation allows recovery of concentrated cells and clarified supernatant without breaking containment. Using an innovative patented design, the Viafuge V12 introduces feed into the SoftStream accelerator through a stationary pipe, where is is accelerated to full rotational speed under low shear before entering the titanium-alloy bowl. Cells are then concentrated along a gentle path between the core and the bowl wall. 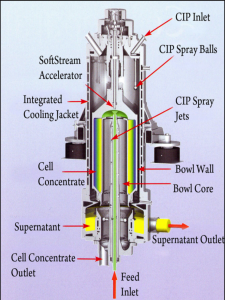 The clarified supernatant is continuously discharged by gravity at atmospheric pressure. 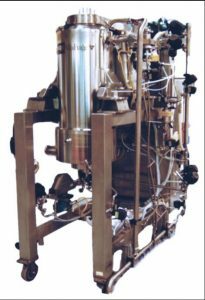 Periodically, the concentrated cells are automatically recovered from the Viafuge V12 for collection, and the cycle is repeated to process the remainder of the feed batch. 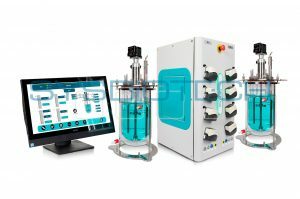 Upon completion of the separation process, automated CIP/SIP cycles may be performed via the PLC-controlled TrueClean operating sequence. 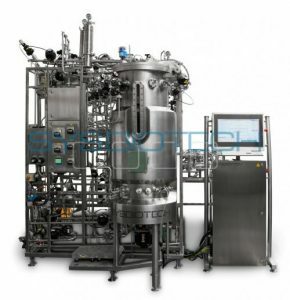 The Viafuge V12 facilitates cGMP compliance by offering a simple sanitary design including strategic placement of sprayballs and jets, ASME-rated configurations for steam sterilization and a flexible CIP/SIP software program.